I have what I will call an open work schedule. Most days I get off work at 5 P.M. others I might not leave work until 8 or 9 P.M. Sometimes I know the day before others I find out the same afternoon. I found myself in the later situation not to long ago. So if I want to eat dinner (supper) before 9 or 10 P.M., and I do, I must source food from the local eateries. It must also be delivered, so that narrows down my options. 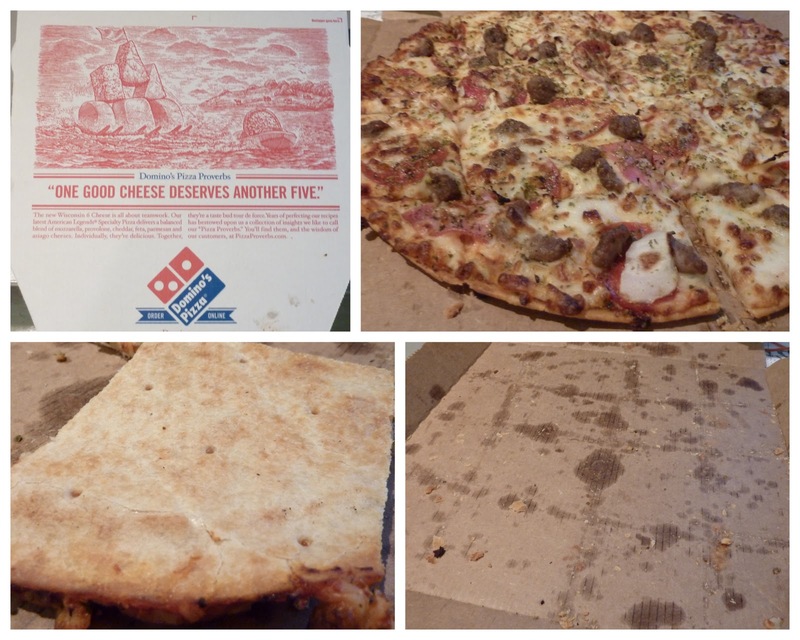 On this most recent occasion I choose Domino's Pizza, one of the Big Guys. I ordered pizza and payed for it on-line (it brings my human interaction level to a new low). I seemed to have had the New Domino's pizza earlier this year (just didn't blog about it for some reason) so I ordered a thin crust (St Louis style?) with pepperoni, Canadian Bacon, hamburger, onions and mozzarella cheese. It turned out to be a pretty good pizza, certainly better than I might have expected. The thin crust was crispy and a little flaky, much better that the New Crust as it doesn't have any of the fake buttery stuff. Recommended But, only if you are stuck at work, low on cash, can't go out to get a better pizza, and you are really hungry. Plus you have to get the thin crust. Do they offer the thin crust outside of the St Louis area? ?